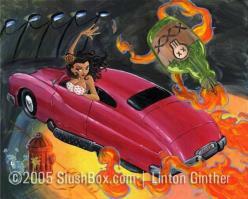 Put the Lime in the Slushbox sedan and shake it all up. Part 3 in an 11 part series. 8 x 10 photo.